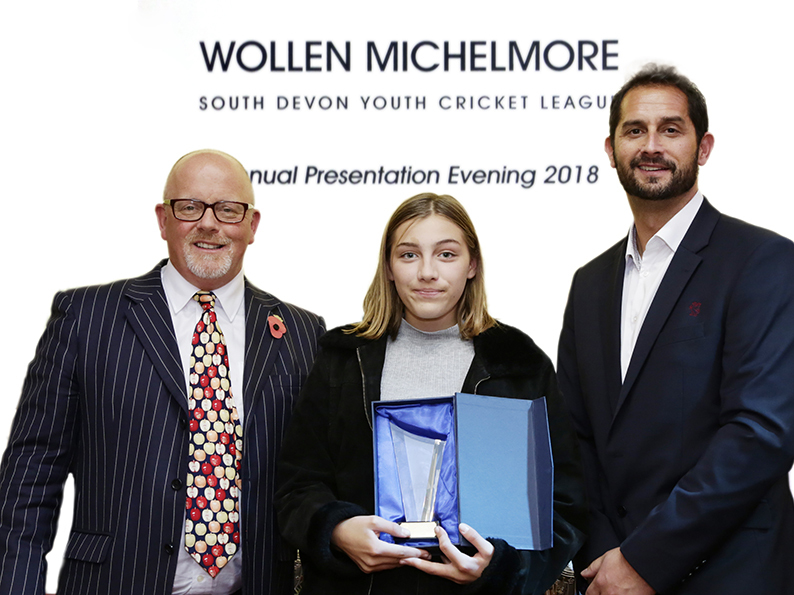 SOMERSET'S head coach Jason Kerr was the guest of honour at the Wollen Michelmore-sponsored South Devon Youth Cricket League awards night. The ballroom at the Redcliffe Hotel in Paignton was full to capacity as clubs and players came together to celebrate the successes of the summer. Kerr took part in a question-and-answer session with Eric Cole, the man responsible for running the players’ testimonial events at Somerset. 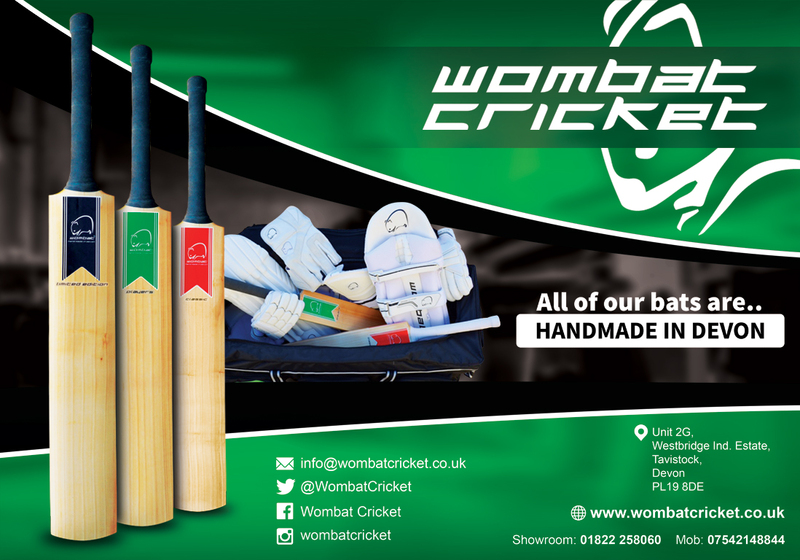 Kerr praised the quality of young players coming out of Devon youth cricket, among them the Overton twins, Dom Bess, Lewis Gregory and Tom Lammonby, all of whom are on England tours this winter. 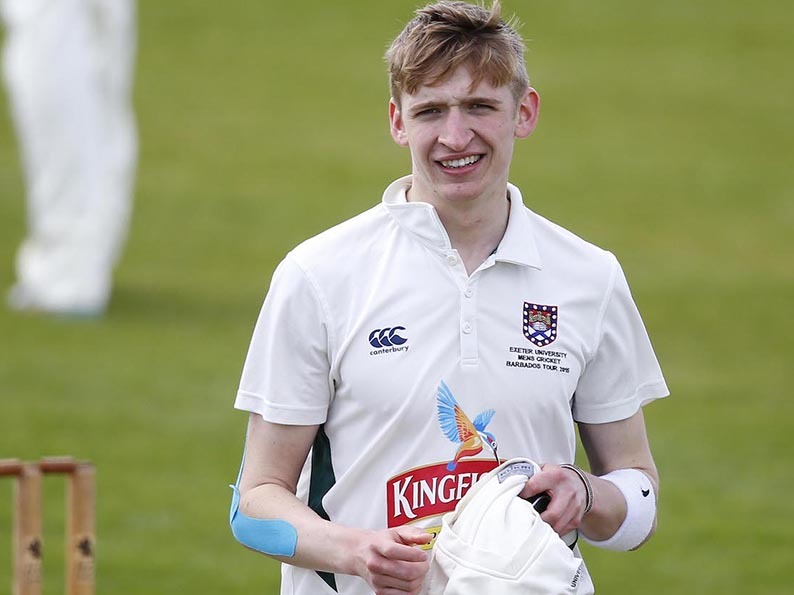 “It seems if you want to play for Somerset and England you have to play in Devon first,” said Kerr. Kerr told the scores of young players in the room there was every chance some of them could make it into the professional game. And he had this advice for any youngster who eventually makes the grade. 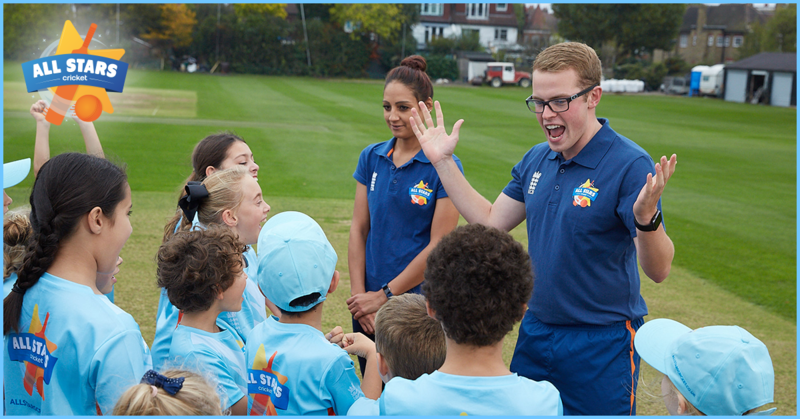 “My advice to an aspiring players is you have to enjoy what you are doing,” said Kerr, who had a ten-year playing career with Somerset and Derbyshire. “It is hard work and you have to enjoy the challenge of it and some will lose heart. Dave Kendall, a partner with the league sponsors Wollen Michelmore, told guests the company intends to carry on supporting the competition. “We are part of the local community and want to put something back supporting competitions like this, sports clubs and individuals,” said Kendall. 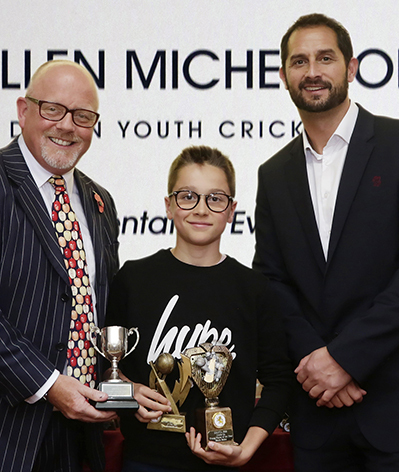 Torquay’s young all-rounder Blaise Baker went home laden with trophies as under-11 player of the year, all-rounder of the year and captain of the divisional runners-up. Chagford had more individual winners than any other club on the night – including the prestigious Spirit of Cricket award won by Florence Hassell. It was a good night for the Medlock family from Paignton as son Rory was under-15 player and all-rounder of the year and dad Tony won the award for services to youth cricket. 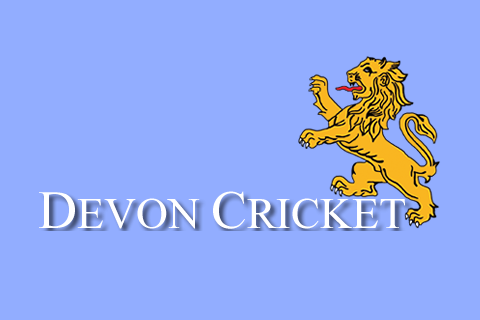 Under-10: champions: Abbotskerswell; runners-up: Shaldon Optimists. All-rounder: Toby Skilton (Chagford), batter: Will Paterson (Chagford); bowler: Harrison Vickery (Abbotskerswell). Under-11: champions: Ipplepen; runners-up: Torquay; all-rounder: Blaise Baker (Torquay), batter: Ed Winslow (Ipplepen); bowler: William Maynard (Ipplepen). Player of the year: Blaise Baker (Torquay). Under-12: Champions: Chagford; runners-up: Bovey Tracey; all-rounder: Seb Linnett (Shaldon); batter: Harry Mount (Chagford); bowler Ben Kay (Bovey Tracey). Under-13: Champions: Torquay; runners-up: Shaldon and Ashburton (joint); all-rounder: Harry Passenger (Torquay); batter: Jake Pascoe (Ashburton); bowler: Noah Rider (Torquay). Player of the year: Jake Pascoe (Ashburton). Under-13 Girls: Champions: Chagford; runners-up: Paignton; all-rounder: Belle Everitt-Holmes (Kingsbridge); batter: Jemima Vereker (Chagford); bowler: Trinity Richardson (Paignton). Under-14: Champions: Paignton; runners-up: Bovey Tracey; all-rounder: Sam Harvey (Bovey Tracey), batter: Sam Russell (Bovey Tracey); bowler: Jed Waugh (Paignton). Girls’ cricket: Young player of the year: Katie Harman (Paignton). Under-15: Champions: Bovey Tracey; runners-up: Paignton; all-rounder Rory Medlock; batter: Freddie O’Connell (Chagford); bowler: Archie Harvey (Chagford). Player of the year Rory Medlock (Paignton). President’s Trophy (spirit of cricket award): Flo Hassell (Chagford). 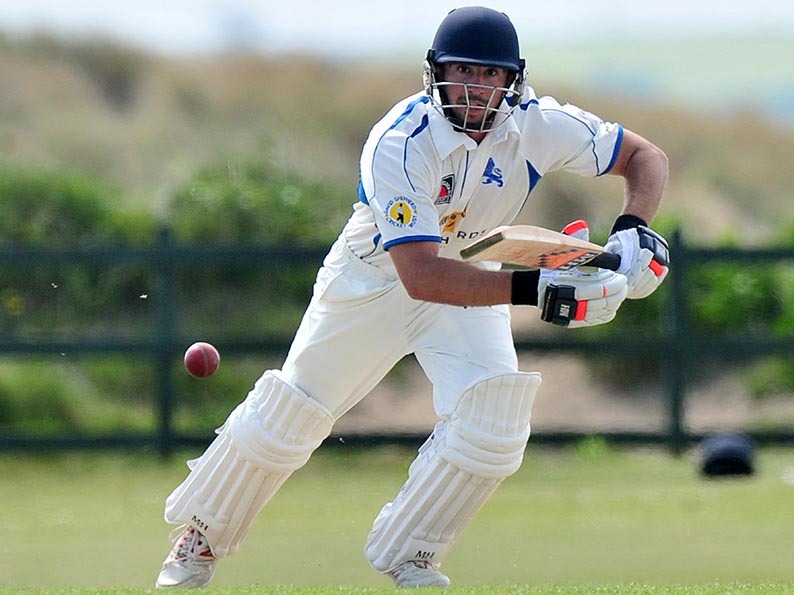 Services to youth cricket: Tony Medlock (Paignton).